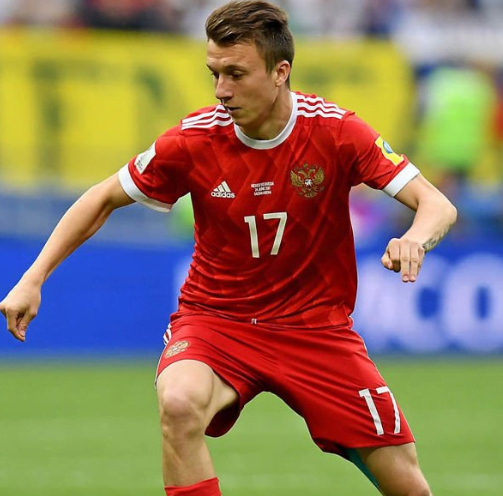 Manchester United manager, Jose Mourinho has lauded midfielder, Aleksandr Golovin’s performance for Russia against Saudi Arabia on the opening day of the 2018 World Cup. Russia thrashed Saudi Arabia 5-0 on Thursday evening at the Luzhniki Stadium. Mourinho, who was impressed with Golovin’s display, however, said he was disappointed with the way Saudi approached the game against the hosts. “The manager changed the team in relation to the match I watched in Austria. He played with a back four, which is normal against a team like Saudi,” Mourinho told RT Sport. “I think Alan Dzagoev was playing quite well but when he came out, the fact that Golovin could go to a more central position, I think it helped the team. “The team became better. Golovin is a playmaker, he’s a player that gives the dynamic of the team. Mourinho added, “Before the match we were talking about the Russians being so pessimistic – and I don’t think you have a reason to be super optimistic – but be happy, good victory, good score.